Posted by Maggy Parries on Aug 10th, 2016 and filed under Allgemein, Breaking News, Featured, Markets. You can follow any responses to this entry through the RSS 2.0. Both comments and pings are currently closed. Photo caption: Organic shaped floating homes will be unveiled by New Living on Water at Cityscape Global, 6-8 September, DWTC. Dubai has earned a global reputation for launching unique and spectacular real estate projects, and a Dutch developer hopes the emirate will now provide a successful springboard for stunning floating homes designed to take their owners back to nature. The company, New Living on Water (NLW), will give a Middle East debut to its striking organic shaped floating residences at Cityscape Global next month, and is expecting regional sales worth US$50 million over the first 12 months, and at least double that in 2017-18. While many new projects will be unveiled on the Cityscape exhibition floors at Dubai World Trade Centre from 6-8 September, NLW believes it has a star attraction thanks to a combined focus on luxury, privacy, environmental sustainability and renewable energy. “A lot of people nowadays live in very densely populated areas, and for most of them this is no problem in everyday life,” said NLW’s managing director and co-owner, Menno de Roos. “But the need for some privacy and the inner need of being connected to nature has always been with us, and that’s what we’re offering. The floating homes have been developed by NLW in cooperation with CIG, an industrial conglomerate engaged in shipbuilding, constructional design and production for complex architectural projects and the renewable energy industry worldwide. They will join a huge range of projects brought together by the 15th edition of Cityscape Global which will span across 41,000sqm of exhibition space. Among the overseas projects vying for attention will be a development in the Azerbaijan capital, Baku, which features such amenities as an international school, a world class golf course with academy, training zones and fitness centres, in a gated community with villas, apartments, cafes, restaurants and retail outlets. 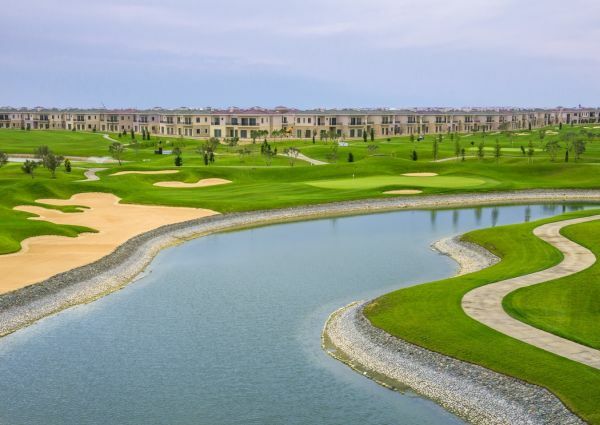 The developers of Dreamland Country & Life hope the project’s location, in one of the country’s “most ecologically clean” areas, and just a three-hour flight from Dubai, will give it traction with GCC investors and golf lovers. “Our climate rarely surpasses 35C, even at the height of summer when it’s possible to play golf until 8.30pm,” said Abdolbari Goozal, Chairman of Intersun Group of Companies. The exhibition returns to Dubai with the Cityscape brand stronger than ever and still expanding. Next March the inaugural Cityscape India will be launched in Mumbai to add to other events already in Abu Dhabi, Cairo, Doha, Istanbul, Jeddah, Kuwait City and Seoul. For more information on the exhibition go to http://www.cityscapeglobal.com/ or call +971 4 407 2579. Don’t forget to register online to avoid queues and the AED100 fee onsite.